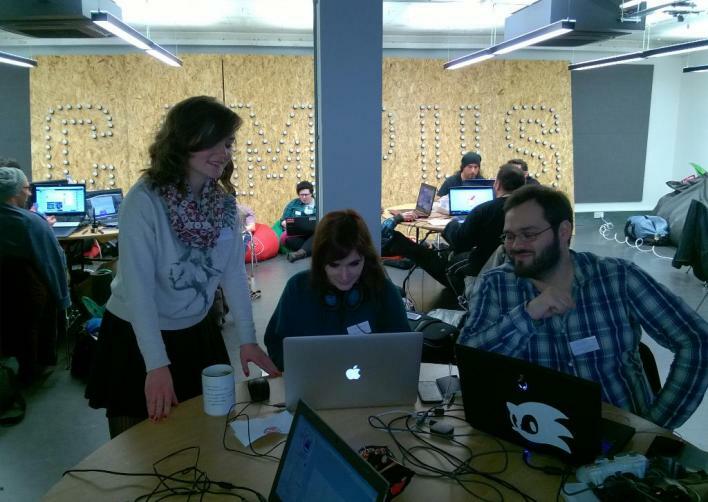 I’ve just come back from the Global Game Jam 2015 event in London and I’m exhausted. This gaming hackathon allowed my team and I to create a local multi-player game between Friday 5pm and today, Sunday 5pm. 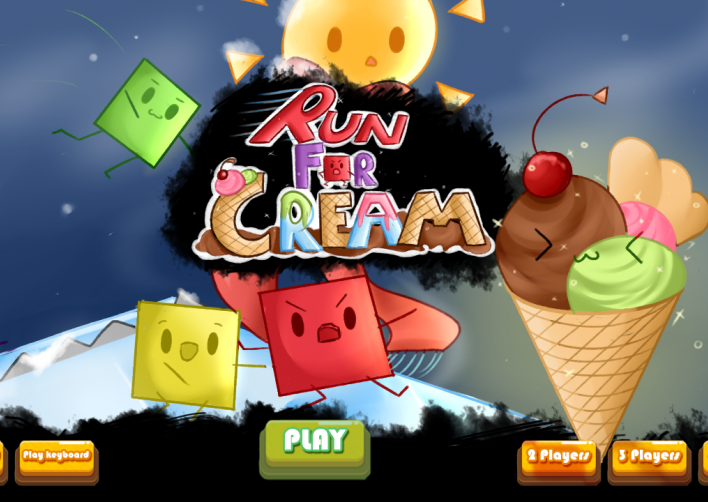 The aim of is to grab the ice cream before your friends! You can use gamepads or the keyboard, up to 4 players. From left to right: Chloe De Castro Leon - the very talented artist; Myself - in charge of the gameplay and the core programming; Ronan Roquais - in charge of the programming and the level design.